A million thanks to ASP and sponsors for our fun-filled Kidzania trip in Taguig last 30 July 2016. Thirteen kids, with 13 guardians from ASP Lemery were awarded by ASP National for its superlative chapter building efforts with free tickets courtesy of Cebu Pacific. Freshly formed on 18 June 2016, ASP Lemery surprisingly bagged the competition for having the most number of new ASP members. Our kids, parents and even teachers enjoyed the thrills of being in creative world of imaginative play. Parents would attest how this experience helped their kids hope, dream and imagine themselves in the future as working adults. 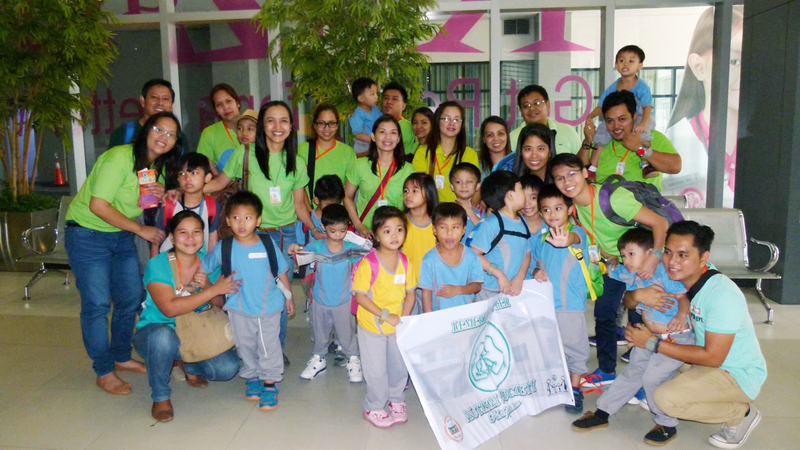 Despite the many doubts and issues of autism, this field trip is truly a morale booster, not just for our angels, but also for the ever-faithful guardians of our CWA’s. About the contributor: Wena Atienza is a president of ASP Lemery Chapter. She is the former college instructor and writer.